It features three professional sharpeners in one compact unit: a knife sharpener, line cutter scissors sharpener and fishhook sharpener. 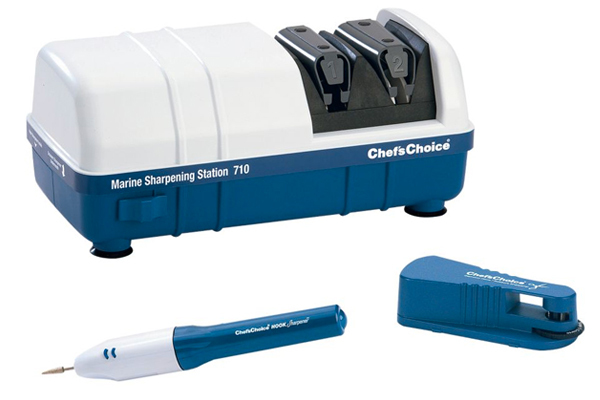 The two stage knife sharpener with 100& diamond abrasives, a unique stropping stage and precision angle guides is ideal for sharpening fish fillet, bait, household and sports knives as well as straight and serrated edges. 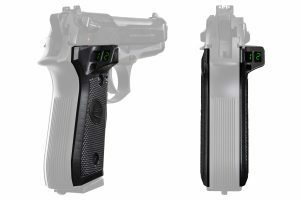 It operates on 120V-AC or 12V-DC, with magnetically operated power switch.